Dispatching, scheduling, in-vehicle and passenger information software for operational efficiency and client service. 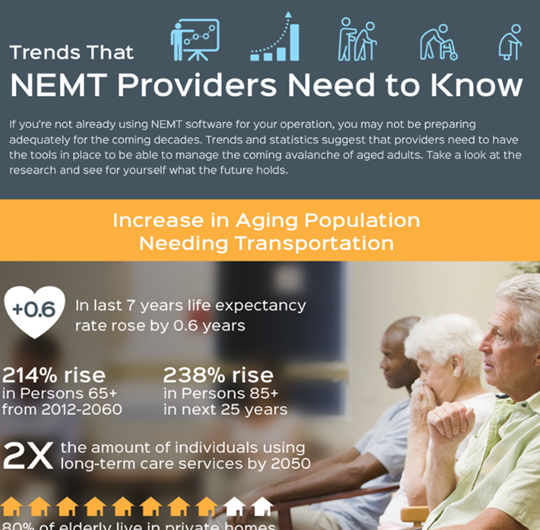 We understand that each NEMT provider operates under unique circumstances. The structure for Medicaid, Medicare and insurance-funded services varies by state; providers may serve primarily urban or rural areas, and may work with a single funder or multiple funders. 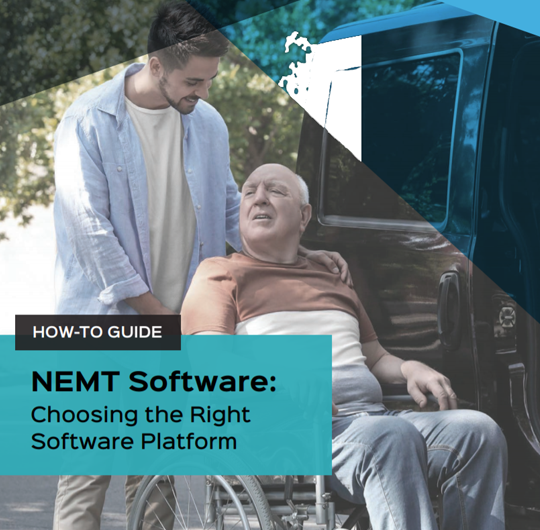 TripSpark’s NEMT transportation software for providers enables you to quickly build optimized schedules, and has flexible scheduling and dispatch modules that can be shaped to suit individual needs. Other functions include: streamlining back-office processes such as billing, improving communication with drivers, and enhancing client service. Move beyond paper-based systems and spend less time preparing schedules with automated scheduling and dispatch. Book single or daily batch trips with incredible fluidity. Accommodate same day scheduling changes such as will-calls, last minute trip requests and late-cancellations without impacting efficiency or on-time performance. Maintain an accurate and complete database of drivers, vehicles and clients. Track and monitor required driver and vehicle certifications, licensing, training and insurance. 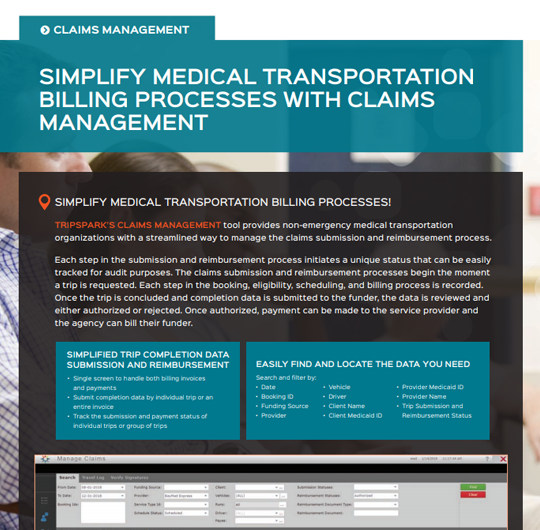 Electronically receive trip requests from brokers, health care organizations and private pay sources and quickly determine the service and payment requirements. Automated electronic data transmissions improve billing accuracy and compliance and reduce rejected trips. Receive faster reimbursements from multiple funding sources including Medicaid, Medicare and other contracts. Transactions comply with HIPAA data confidentiality laws and information for audits is automatically captured. Integration with TripSpark's client notification system and online booking portal means the back-office is immediately informed when clients book, cancel or confirm trips using the software. The system communicates with in-vehicle apps and devices to ensure drivers automatically receive any scheduling changes. Find out more in the solutions section below. 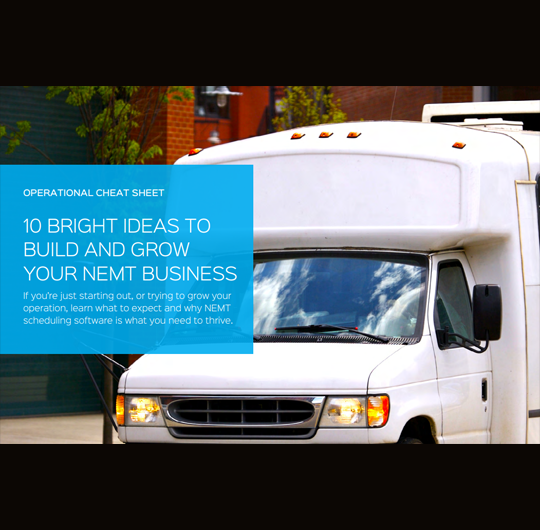 Manage all aspects of NEMT scheduling and dispatching including trips, vehicles, clients and reimbursements. Enables the real-time exchange of data between brokers, providers and drivers. 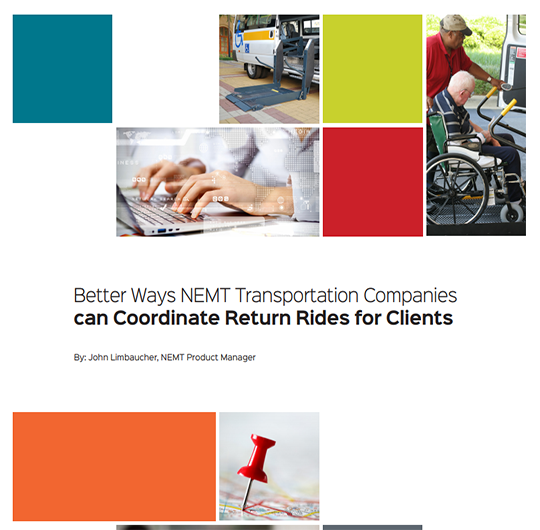 Using tablets or mobile data terminals (MDTs), drivers receive manifests, schedule changes are communicated in real-time and trip performance data is stored electronically. Reduce no-shows and late cancellations and decrease your call center volume with automatic trip reminders and arrival updates sent to clients via text, email or IVR. Reduce administrative costs by enabling clients or their delegates to independently book, cancel or update trips online at any time. Assign last minute and pre-scheduled trips to Lyft, a Transportation Network Company (TNC) that offers flexible, low-cost, on-demand transportation. Kevin Manley describes his experience using TripSpark's NEMT software Novus Med and how it has made his life much easier. "Having real-time updates, it means a lot to everyone. Because it’s less phone calls that we have to do, and that’s more time that we are having to focus on the clients." Watch to learn more! Mike understands the importance of investing in transportation technology. As he says, "That's the big hangup with technology in the first place. 'Awesome, it looks great. How much does it cost? I can't afford it'. If you can get past the investment in technology and look at the value it can provide, you can find that the efficiency gains will more than pay for the upfront costs." Steven Wolfe from ICT explains that as his company grew his needs for a more automated system grew. "The efficiency in trips, the efficiency in schedules, has impacted our payroll hours. There’s a lot less sitting around waiting for trips." Watch to learn more! 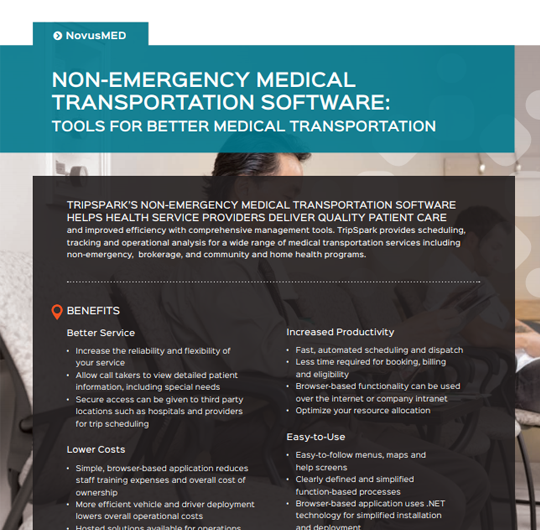 Transporting 12,000 patients over 12 million KMs a year requires a powerful software solution to manage the volume. 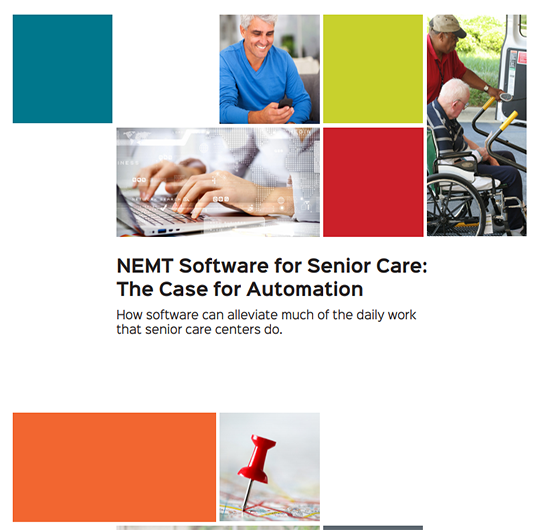 The Canadian Cancer Society sought out the TripSpark NEMT software solution in order to provide better service and help more people. Here’s their story.